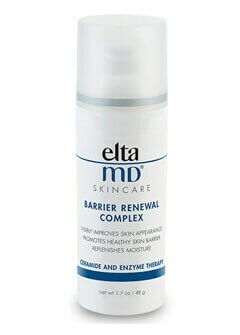 The EltaMD Barrier Renewal Complex can be added to your skincare routine to diminish the appearance of fine lines and wrinkles, as well as boost your skins moisture. The EltaMD Foaming Facial Cleanser is an oil-free and pH-balanced cleanser for all skin types. We believe you should wear a sunscreen year round, not just in the summer months. 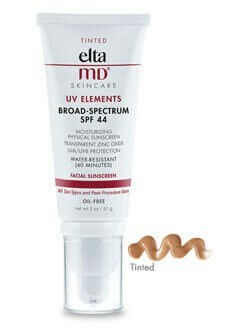 We love Elta MD UV Elements Tinted sunscreen, which can be worn as a tinted moisturizer under makeup. 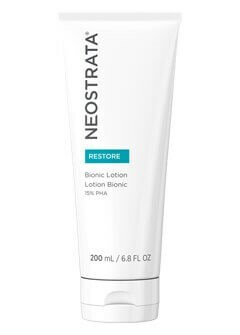 NeoStrata’s Bionic Lotion can be used on both body and face to hydrate dry skin. Bionic Lotion is formulated with PHA, which helps bind moisture to your skin. This non-irritating lotion is ideal for sensitive skin types. 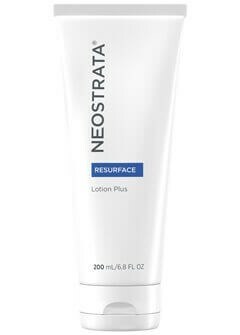 NeoStrata's Lotion Plus contains Glycolic Acid, which improves signs of fine lines and wrinkles. This exfoliant is ideal for dry, normal and oily skin types. 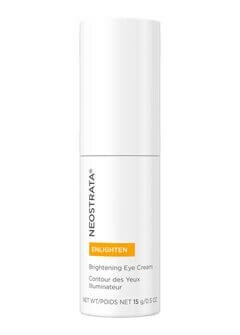 NeoStrata's Brightening Eye Cream contains antioxidants, peptides, algae extract and a vitamin C & E blend, which reduces the appearance of dark circles. Your eyes will also appear firmer and brighter. This cream is ideal for dry, normal and oily skin types. 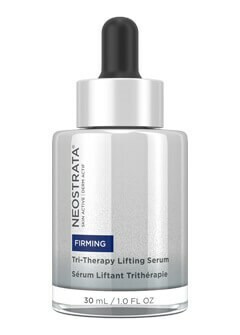 NeoStrata's Tri-Therapy Serum contains Aminofil® Gluconolactone (PHA) Pure Mini Hyaluronic Acid, which leaves your skin lifted with a more even skin tone. Tri-Therapy Serum also diminishes the appearance of dark spots. 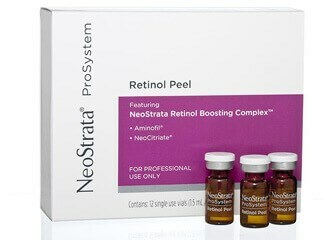 The NeoStrata Retinol Peel is a superficial peel performed in our office. The Retinol Peel helps diminish the appearance of fine lines, wrinkles, pore size and skin laxity. This peel is ideal for most skin types. You can expect to peel for 2-5 days, leaving your skin clearer and radiant. An antioxidant serum, containing 15% pure vitamin C (L-ascorbic acid) and 1% pure vitamin E (alpha-tocopherol). 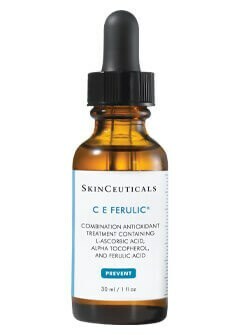 We love C E Ferulic, because it protects the skin from free radicals, reduces the appearance of fine lines and leaves the skin bright and radiant. An antioxidant serum, containing 10% pure vitamin C, 2% phloretin, .5% ferulic acid. 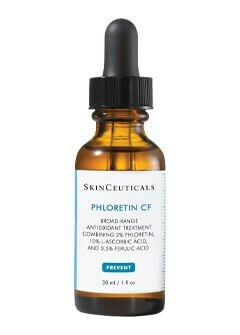 Correction of skin discoloration We love Phloretin CF, because while it protects the skin from free radicals from UVA/UVB rays, it diminishes discoloration and fine lines. 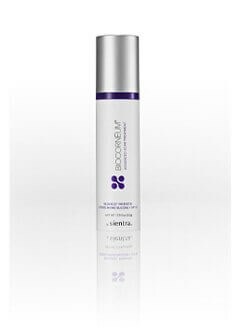 A nightly Antioxidant serum, containing 1% pure reservation, .5% baicalin and 1% vitamin E (alpha-tocopherol). 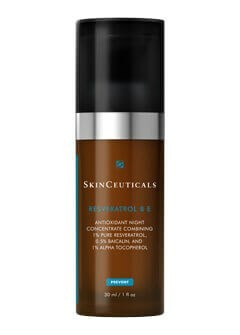 We love Reservatrol B E, because it works while we sleep to our repair skin, leaving it firm, radiant and smooth. An eye treatment, containing 5% proxylane and 4% blueberry extract. 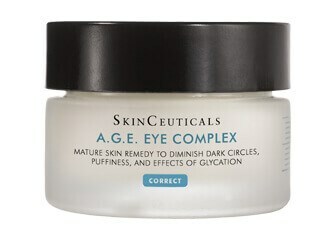 We love AGE Eye Complex, because it reduces the appearance of dark circles, puffiness and improves wrinkles. A multi-action lotion, containing 1% hydroxphenoxy propionic acid, 5% yeast extract, .3% salicylic acid & .5% ellagic acid. 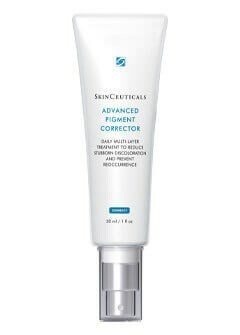 We love Advanced Pigment Corrector, because it diminishes the appearance of dark posts and problematic pigments. A daily-use serum, containing 3% tranexamic acid, 1% ionic acid, 5% Vitamin B3 & 5% HEPES. 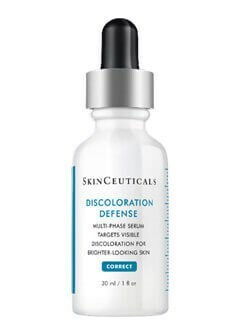 We love Discoloration Defense, because it reduces discoloration of the skin, specifically post-acne marks and brown patches. It also evens out your skin tone and prevents the reoccurrence of discoloration. A soothing mask, containing biocellulose fibers and sterilized water. 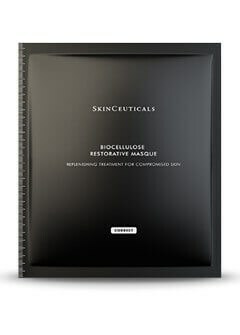 We love the Biocellulose Restorative Masques, because they are ideal for sensitive skin and are perfect for post-procedure skin. Our patients benefit from using these after a Secret RF treatment. They are free of fragrance, oil, alcohol, dye, parabens and alcohol. A quick drying scar gel, containing FDA-Cleared SilishieldTM and SPF 30. Biocorneum gel creates a barrier to protect and hydrate your skin. Click to view before and after images.